Clontarf Orthodontics is a specialist patient-centric orthodontic clinic. Dr Shona Leydon has built a highly respected practice over the last 20 years opposite Westwood gym, in Clontarf Dublin 3 helping hundreds of people achieve winning smiles. Our highly trained and dedicated team pride themselves on delivering excellent standards of specialist treatment, as well as making you feel welcome and relaxed during our time together. Our team includes hygienist, dental nurse and receptionist and two registered specialist orthodontics. We have full x-ray facilities onsite. We offer flexible appointment times from 8am to 8pm. 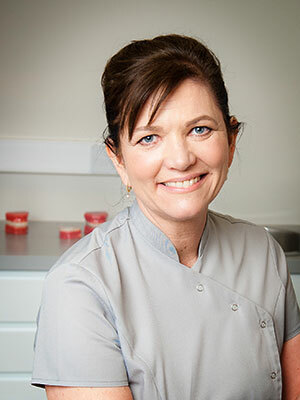 Dr Shona Leydon, our principle orthodontist and founder qualified as a dental surgeon in 1989 with an honours degree. She applied for a place on the 3 years Masters’ orthodontic training programme in Trinity College Dublin in 1994 and was awarded one of the two coveted places on this course. Dr Leydon was awarded a membership from the Royal College of Surgeons in London along with her Masters degree in Dental Science in 1997. She then practiced as a full time specialist orthodontist at the Regional Orthodontic Unit, St James’s Hospital, Dublin for over 5 years gaining a vast wealth of experience treating complex orthodontic cases from the public waiting list before establishing Clontarf Orthodontics at 9, Clontarf Road, Dublin 3, in 2002. Dr Leydon continues to work 5 days a week at Clontarf Orthodontics, Dublin 3 and has personally treated thousands of cases over the last 20 years as a specialist. Her areas of particular interest include invisible appliances, and interceptive (early) orthodontics. Dr Leydon undertakes many advanced courses each year and is an active member of the Irish and American Orthodontic Societies, serving in many roles including Scientific Secretary. Dr Leydon is also a Fellow of the World Federation of Orthodontists. She is a registered orthodontic specialist with the Irish Dental Council and now serves on the Dental Council. 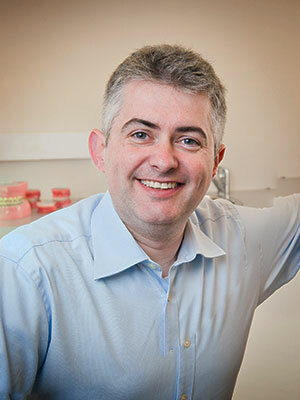 Dr. O’Mahony qualified as a dentist from University College Cork in 2003. Following this he worked in general dental practice, children’s hospital dentistry and oral and maxillofacial surgery. He was accepted onto the orthodontic specialist training programme at King’s College London and qualified with a master’s degree in orthodontics in 2010. He has also undertaken further advanced orthodontic training to hospital consultant level and holds both a Membership and Fellowship in Orthodontics from the Royal College of Surgeons. He is a registered orthodontic specialist with the Irish Dental Council and a member of the Irish and European Orthodontic societies. John has presented orthodontic research at international conferences and currently provides academic peer review for the European Journal of Orthodontics. Dr. O’Mahony has a broad range of orthodontic experience and a special interest in the treatment of buried or missing teeth and jaw abnormalities. In addition to specialist practice, he currently teaches orthodontics on the Master’s programme at Trinity College Dublin. Sandra Mc Mahon has been working in the dental field for more than 15 years. She is a fully qualified dental nurse graduating from Trinity College Dublin in 2014. Sandra currently has responsibility for implementation of our cross infection control policy, chair side assistance, oral hygiene instruction and brace wear advice with all our patients and she also overseas our social media presence. Since joining Clontarf Orthodontics she has taken advanced training in fabrication of retainers, social media, customer care and first aid. She is approachable and flexible and is extremely popular with all our patients young and old. Dr Leydon treated Sandra with Invisalign so she can give first hand advice to our patients and relate to their Invisalign experiences. Sandra is our Practice Administrator and Treatment Coordinator. She is the first point of contact at the practice for our new patients and coordinates all stages of our patients treatments. With 22 years experience in dentistry and health care Sandra brings a vast wealth of experience, knowledge and enthusiasm to her role. She is committed to providing an excellent experience for all patients attending our practice from the minute they walk through our door. Sandra is a fully qualified dental nurse. 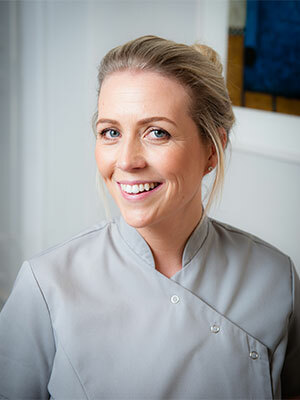 She has received advanced training in web design, social media, first aid, retainer fabrication and customer service since joining Clontarf Orthodontics. She overseas our website updates and blog posts. Her attention to detail and conscientious approach to her work is very much appreciated by our patients and the entire team. Kathryn began her dental career as a dental nurse where she worked in general practice for three years before gaining entry to the Dental Hygiene programme in University Hospital Wales. Following graduation Kathryn has taken up positions in general practice and also in specialist practice where she has gained a wealth of experience. She has received clear brace treatment from Shona at Clontarf Orthodontics and therefore has a good understanding of our patients needs and experiences. Her friendly personable manner as well as her excellence in patient care make her a firm favourite with our patients and an excellent asset to our team. We pride ourselves on the high quality of our treatments and strive to give you a great customer experience at every stage of your treatment. Building a foundation of trust by treating our patients as special individuals is vital. We understand how uneasy some patients may be about coming in to see us and how we can make a difference by providing a relaxing and positive customer experience. We have flexible opening hours; 8am to 8pm and offer Saturday appointments by request with one of our experienced specialist clinicians. We realise your time is valuable and we endeavour to always run on time. Infection control in our office is very important to us. To protect our patients and ourselves we strictly maintain cross contamination processes using standards recommended by the Irish Dental Council. As a team we have had specialist in house training in customer care, GDPR, social media and CPR and we have attended many national and international continuous training courses including the American Association of orthodontics annual congress. All our x-rays are on-site and digital. There is no need to go to another hospital or clinic for any of your appointments. We fabricate the majority of our lab work in house. Retainers can be made on the same day. We have recently had very successful Open Days in aid of Temple St Hospital and have been involved in multiple fund raising events for charities and schools in our community. Dr Leydon is a sponsor of the up coming ladies lunch on April 13th in aid of breast cancer at Clontarf Rugby club.